As a leading manufacturer with offices and production plants across the globe, our client is always looking for technology to improve their processes, reduce costs and increase productivity. Whether that is in their production plants or offices, the need to continuously improve is a cornerstone of our client’s philosophy. This element of their philosophy was exemplified when they contacted us to discuss the standardisation of technology at their IT Centre in the UK. With the company spending over £300m on IT annually, they required a ‘centre of excellence’ which would showcase to the wider group how technology can reduce costs, enhance functionality and improve the working environment. The IT Centre project provided Cinos with the chance to meet with key project teams to truly understand our client’s long-term objectives. This detailed understanding enabled us to propose how the Crestron technology suite would significantly enhance operations for this global organisation. Upon project commencement Cinos entered a consultation phase with our client to get an in-depth understanding of their requirements. It was important to understand key objectives and strategic position so we could provide recommendations to enhance their working environment not disrupt it. The IT Centre, the focus of this project, seats over 230 people and is comprised of meeting spaces, employee workstations, conference rooms and informal breakout areas. Within the IT Centre there is a IT Showcase; an open plan area which demonstrated our client’s latest innovations. This area also consisted of technologically advanced collaboration tools which allows staff the freedom required to create and review IT processes. The CTO wanted to standardise the meeting spaces with an ‘approach and use’ methodology at the core of the design. Anyone should be able to walk into a room and instantly begin a session rather than being distracted by the technology. One key element of delivering the approach and use methodology focussed on the conferencing solutions. Whilst the more traditional room systems utilised a dedicated codec and offered an excellent experience, they did not cater for wider group adoption. If remote workers or dispersed teams were using different systems, connecting with the IT Centre could become a challenge. With a strategic decision to implement Microsoft collaboration tools and with most employees using Skype for Business for instant messaging on their phones and laptops, identifying a room based Skype for Business system was vital. During the consultation phase, Cinos offered additional recommendations on how room booking and resource monitoring solutions could be added to the estate; further streamlining operational processes and reducing costs. To standardise the meeting room systems in the IT Centre, a selection of Crestron solutions have been deployed with the aim of reducing spend, increasing operational efficiencies and enhancing the working environment. Crestron’s native Skype for Business room system, Crestron RL 2, was a key driver for this decision, with our client looking to use Skype for Business as their main conferencing platform. Whilst other vendors have developed Skype for Business room systems, choosing Crestron offered further benefits with their room scheduling and resource management solutions. The Crestron RL 2 Skype for Business room system was installed in the six conference rooms in the IT Centre. With the familiar Skype for Business user interface, the RL 2 system ensures anyone can walk into the room and instantly begin a conferencing or collaboration session. Each Skype for Business enabled room features dual-interactive 4K displays from Prowise. Not only do these displays deliver an optimal viewing experience, but once connected to Crestron RL 2, they deliver interactive collaboration; transforming the display into an interactive whiteboard. 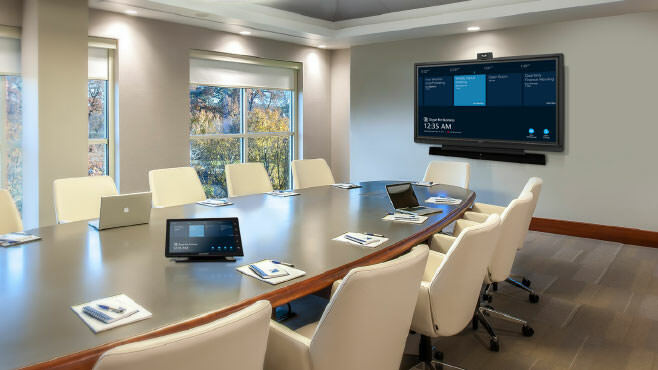 To streamline efficiencies, avoid double bookings and enhance the meeting room experience, Cinos deployed the Crestron room scheduling solution. Each room is equipped with a wall-mounted LED indicator allowing employees to see room availability at a glance from the corridor. Meeting room information is clearly displayed on a 7inch touch panel, wall mounted at the room entrance. Employees can view upcoming meetings or book the room via the touch panel or, due to integration with the email system, from their laptop, tablet or smartphone. At the heart of the IT Centre is the IT Showcase; a large open space with multiple zones for IT teams and visitors to work together and share innovative ideas using high quality, technologically advanced display and collaboration tools. Visitors can browse through the latest innovation projects courtesy of the large-format interactive displays kiosks. To demonstrate the latest conferencing solutions, and to connect with the wider group, a further three Crestron RL 2 Skype for Business systems were installed. With our client looking to reduce IT spend, increase operational efficiencies and enhance the working environment, Cinos added Crestron Fusion resource management to the IT Centre’s infrastructure. Fusion enables active, real time monitoring of all audio visual components; giving management a clearer understanding of the room utilisation and system status. Features such as remote diagnostics ensure that if an issue is detected, a detailed report is raised, enabling an engineer to arrive on site fully prepared. The introduction of the Crestron suite of products in the IT Centre has been a resounding success. Since project completion, the solution has already been rolled out at multiple UK sites with further plans for global deployments. Looking at Crestron solutions for your organisation? As a Crestron Elite Partner we are perfectly placed to discuss your project. Get in touch with our team today. Adopting the Crestron RL 2 Skype for Business room system has promoted a wider adoption. Remote employees no longer need to travel into the office; increasing their productivity and offering a better work-life balance. Rather than using expensive, dedicated codecs, Crestron RL 2 offers the same core functionality but can be scaled across the business in a cost-effective manner utilising the significant investment already made in the Microsoft software suite. Standardising on solutions from a sole supplier, Crestron, enabled Cinos to achieve greater discounts which were passed onto the client. Crestron Fusion delivers real time monitoring of AV equipment, reports on room usage and integrates with the room scheduling solution. This offers our client a wealth of information which drives business outcomes. 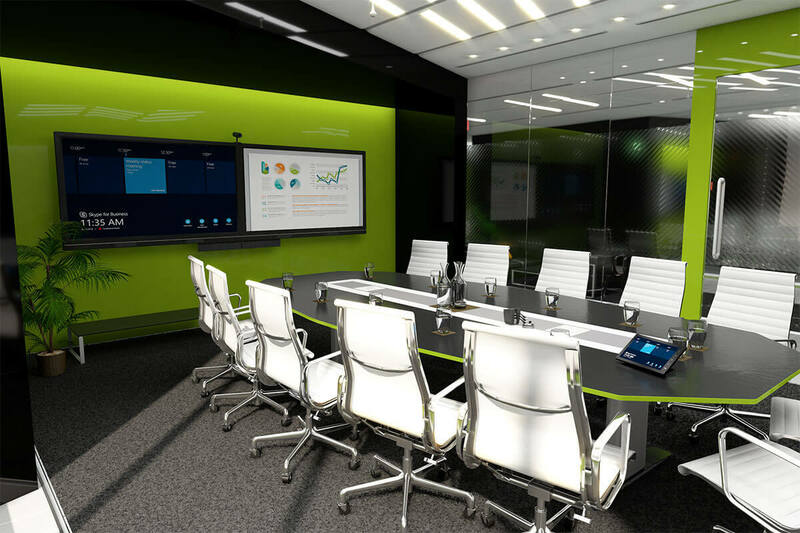 The Crestron RL 2 Skype for Business system ensures the smooth running of meetings. Any employee can walk into a meeting room and instantly begin a session by touching one button on the RL 2 user interface. The meeting rooms automatically configure based on the connections used in the room and the familiarity of the Skype interface makes user control quick and intuitive. 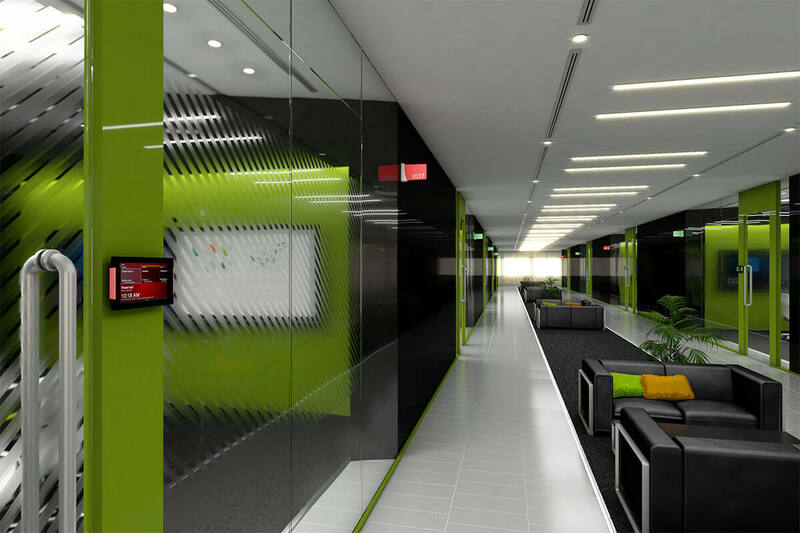 LED indicators placed outside each room show meeting room availability at a glance. 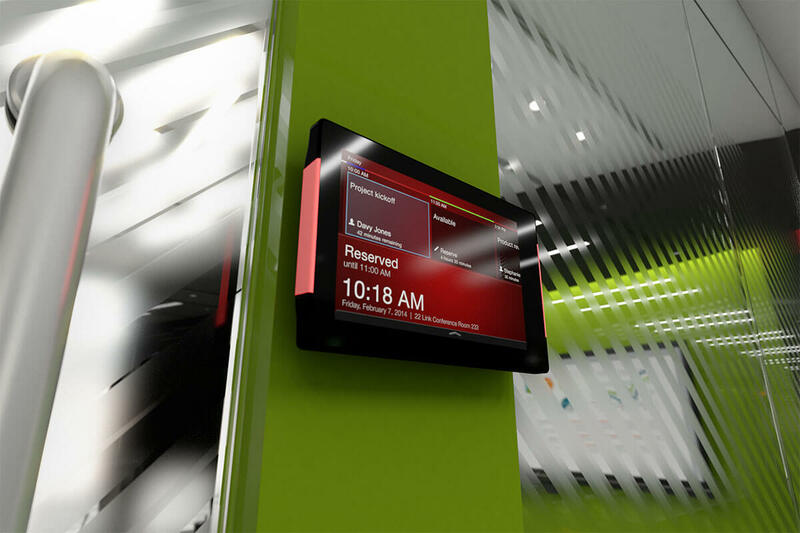 Employees can view upcoming meetings and book spaces from the wall mounted touch panel. Further integration with the email system allows employees to check availability, book rooms or even cancel meetings from their laptop, tablet or smartphone. Integrating Crestron Fusion into our client’s infrastructure has significantly enhanced their operational efficiencies. The wide range of reports and statistics available give our client a true picture of their estate; allowing them to react quicker to short term issues plan how to optimise their spaces in the future. Integration with the room scheduling system enables our client to set a room as unavailable when an issue is reported. Not only does this allow them to rectify this issue quicker, it ensures that only meeting rooms that are fully functional are available to book. In the longer term, our client can analyse the use of spaces and optimise accordingly. They may see that a Skype for Business meeting room is used much more than a standard meeting space; providing the foundation of reporting to the whole company and encouraging wider adoption. The overhaul of systems at the IT Centre has been well received. It has provided a ‘centre of excellence’ which can be showcased to the wider group; demonstrating how to cut costs and streamline operational efficiencies without losing any core functionality. The solution has already been rolled out at multiple UK sites with plans for further global deployments. 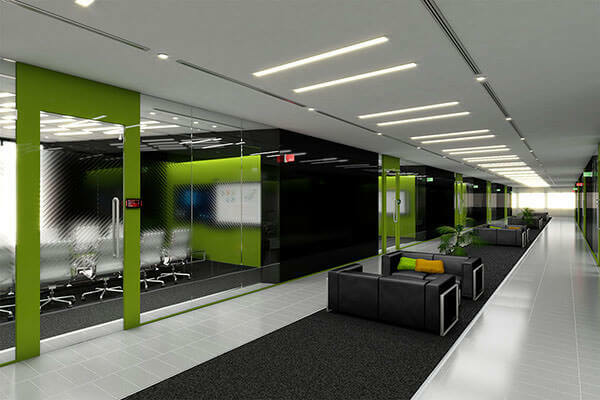 There is no doubt, that upon project completion, the overhaul of the IT Centre has been extremely well received. The Crestron technology suite delivered Skype for Business on large format displays and has added a layer of intelligence to our client’s infrastructure; providing powerful tools such as networked room scheduling and remote device diagnosis via the Cinos Network Operations Centre. 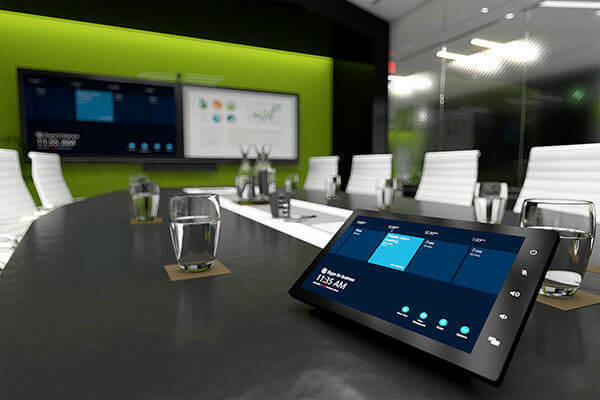 The Crestron RL 2 solution combines Crestron hardware with the Skype for Business software to deliver an advanced collaboration solution for meeting spaces.